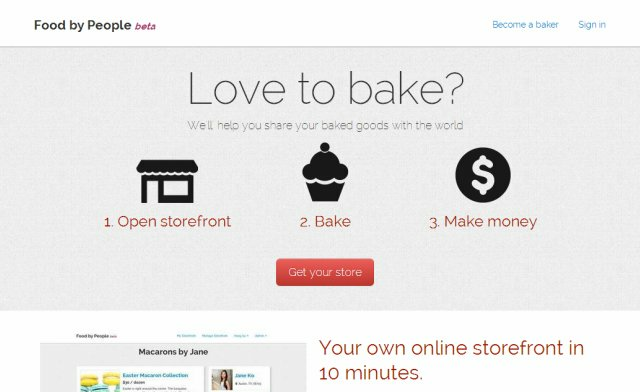 Food by People helps home bakers easily sell their baked goods. They provide an online toolset that creates menu items, accepts payments online, and keeps track of orders and customers. Follow them on Twitter.